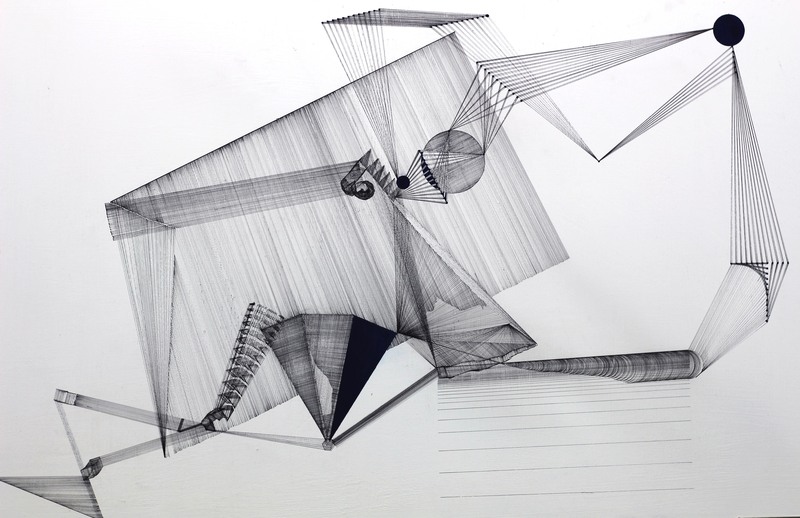 Eleanor Wemyss using line drawings and combination of other mediums to illustrate process’ from different industries. In 2016 she worked with Polish author Alexandra Rychlicka to create an immersive installation in an old victorian house, in order to provide a UK audience to explore the atmosphere and senses within this novel. In 2017 she worked with music producer Johnny Fever to create 32 mix media panels that illustrated the production techniques he had been using in his work. She is currently working on the strength of her use of ink on wood to create a piece based on scale and intricacies, work directly onto the wall as well as adding in pieces of work that she has been developing over a period of a few years now.